This 4-star hotel is situated near Granada Train Station and offers a fitness centre and ski passes. Rooms are air conditioned and internet access is provided free of charge. The Macia Condor provides many services including a sun deck, family/oversized rooms and a coffee bar. The hotel also offers a hair salon, a beauty salon and meeting rooms. The hotel also provides its guests with an airport shuttle service. The Macia Condor offers elegant and modern rooms equipped with complimentary toiletries, a mini bar and a hair dryer. Internet in rooms, a private bathroom and a desk with an electrical outlet can be found in each room of the hotel. A telephone and heating are also provided in every room. To make sure your day gets off to a good start, the hotel offers a cold buffet breakfast every day. For other meals, there are plenty of restaurants and cafés located nearby. Room service is also offered to guests during certain times. This Albaicin hotel is situated in an area popular with tourists and is close to the Monastery of Saint Jerome. The hotel is situated less than a 20-minute walk from Granada Charterhouse, the Madrasah of Granada and Royal Chapel of Granada. 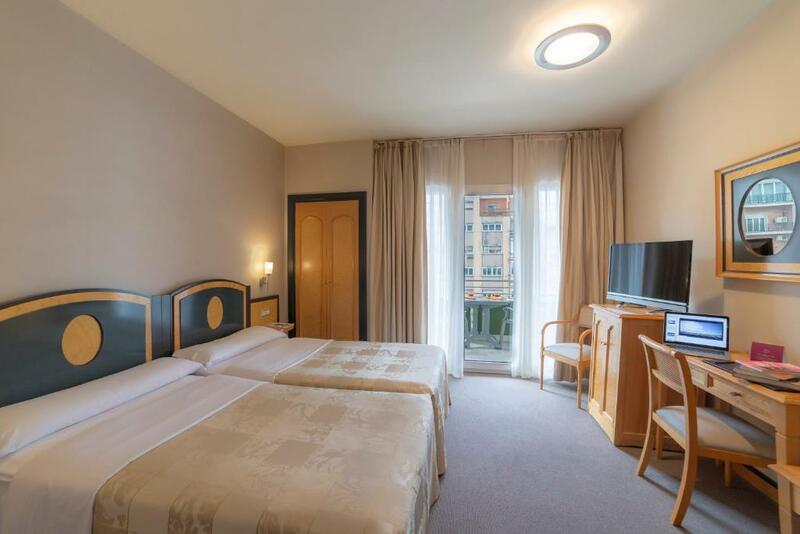 This hotel is 2068 metres from the Alhambra entrance, 1065 metres from Plaza Nueva (the absolute centre of Granada), 622 metres from the train station and 1935 metres from the bus station.